Presidential address before the American Association for the Study and Prevention of Infant Mortality, at the Fourth Annual Meeting, held at Washington, D.C., November 14-17, 1913. Published in Archives of Pediatrics, 30:885-915, 1913. The first page of the original Holt paper. In considering what subject I might bring before you upon an occasion like this, it has occurred to me that perhaps a general review of the changed attitude of society toward infants might prove not uninteresting -- a change so marked as to seem almost revolutionary. I have tried to trace from the earliest times the growth of the modern conception of the value of infant life -- how it has come about, by what influences it has been stimulated, and by what agencies the betterment of conditions has been effected, with the hope that looking at our work historically we may better appreciate the importance of what has been done and see its significance in relation to the future. The problem of infant mortality is one of the great social and economic problems of our day. No resources of the State need so much to be conserved as do its children. A nation may waste its forests, its water power, its mines and, to some degree. even its land, but if it is to hold its own in its struggle for supremacy its children must be conserved at any cost. On the physical, intellectual and moral strength of the children of today the future depends. In all training and education physical considerations must come first. Unless the infants are saved there will be no children to educate. It is not true, as has sometimes been assumed, that a nation as a whole is improved physically by a high infant death rate. Visitors to the marasmus wards of a modern infants' hospital often remark upon the uselessness or futility of saving these infants. They look upon the effort as misguided philanthropy and almost as a perversion of medical science, arguing that however praiseworthy from a humanitarian point of view to save such infant lives, it is false economy and does not improve the race; that it interferes with the law of natural selection, which is the survival of the fittest; that by efforts to keep the feeble alive, degeneration of the race rather than improvement in it is favored. The argument is not a strong one and is based upon erroneous premises. In the first place, most of those who in infancy are regarded as physically unfit were healthy at birth and are merely the victims of a bad environment, improper feeding and neglect -- conditions which it is quite possible to remove. When these obstacles are overcome these infants not only have the same chance to survive, but to grow into healthy, even robust, children as have others. How many of the world's brightest geniuses would have been lost had this law been rigidly applied, who can say. [See Note 1] It is hard to tell who are the unfit. A high infant mortality results in a sacrifice of the unfortunate, not the unfit. Again, many of the causes which produce infant deaths are at the basis of delicate health and physical deterioration in those who survive. Such children later may become a burden to society. It is not enough to protect infants from early death; it is equally important to remove so far as possible those pernicious influences which have such an injurious effect upon the child in the modern city and tend to make him so greatly the physical inferior of the town or country dweller of a half century ago. Excessive mortality among infants is not a question which concerns the cities only nor the poor alone. In matters of health the whole community stands together, although the effects of unfavorable conditions always fall most heavily upon the poor and upon the young. A high infant mortality is in no sense a protection to our body politic. We must eliminate the unfit by birth, not by death. The race is to be most effectively improved by preventing marriage and reproduction by the unfit, among whom we would class the diseased, the degenerate, the defective, and the criminal. In working for the survival of the feeble and the unfortunate we are not contravening nature's law and striving to save the unfit. We have been considering the question somewhat more especially from its individual and sociological side. The political or economic side is not less important. In several European countries the greatest argument for the protection of infancy is to be found in a steadily falling birth-rate, so rapid as to threaten the political position of the nation. Of twenty European countries, nineteen have shown a declining birth-rate between 1881 and l905, the average decline being 3 per 1,000 of population. Only one state, Bulgaria, showed an increase. In nearly all there has been a steady decline, but with great uniformity this has been most rapid since 1900. The cause or causes of this general fall in the birth rate we cannot here discuss; but judging by the extent of this decline they are certainly not accidental nor temporary. In the United States our birth records are so imperfect that definite conclusions cannot be drawn from them; but all evidence goes to show that except among the immigrants the same general decline exists as is seen in Europe. The problem of a falling birth rate is not yet with us an economic one, but it may perhaps at no distant day become so. The situation has been recognized in France for a generation or more. Her statesmen have viewed with alarm the fact that her birth rate was the lowest in Europe. She was among the first, as we shall see later, to grasp the political significance of this fact and to bestir herself to remove causes of a high infant death rate. Germany, also, is now facing the question of a rapidly falling birth rate and realizes the imperative necessity of meeting this by reducing the number of infant deaths. The infant problem is as old as the human race, although in different places and at different periods of the world the viewpoint has changed. Among the savages and barbarians the question was one of getting rid of the superfluous children when mouths became too many for the food supply to fill. Later, among more advanced nations, the weak and feeble were exposed to death because they were assumed to be of no value to the State; only those who were vigorous enough to grow up into fighting men were deemed desirable citizens. In Sparta, the State claimed a right over all children born. Every newborn infant was passed upon by a committee, and upon their approval the child was accepted; upon their disapproval it was exposed to death. Those who were permitted to live were most carefully reared, with the result that the Spartans became physically the finest race of their time. Lycurgus, Solon, Aristotle, and Plato all regarded infanticide as proper and desirable to prevent a too rapid increase in population, and also to remove the weak and the deformed.[3,4]. Only the Thebans considered infanticide barbarous and made it a crime punishable by death. Exposure of weak children to death was not frequent at Athens and in that city an establishment existed in which a certain number of illegitimate children were reared by the State. In Rome the father had the power of life and death over his newborn child. According to custom the infant was placed by the midwife upon mother earth. If left upon the ground, it was a sign that the infant was to be immediately exposed to death; if the father desired to preserve its life, he indicated this by raising the child in his arms and invoking the goddess Levana. This act was known as "tollere infantem." The idea has come down to us in the expression "to raise a child." It is also preserved in the French phrase, "elever un enfant." In the early days of Rome the Greek practice was followed of exposing to death delicate and deformed infants. They were sometimes exposed in the market place, sometimes at the foot of certain pillars, sometimes in the forests and sometimes they were drowned. They were considered both in Greece and Rome the property of any one who found them and who chose to rear them. When no one claimed them they were cared for by the State. When reared by private persons they were often greatly abused, sometimes mutilated and used for begging, and sometimes, it is said, "used for purposes of magic." Though maternal nursing was commonly practiced among the Romans many mothers in the higher ranks of society neglected it, and Julius Caesar ridicules such women for carrying little dogs in their arms instead of their own infants. Tacitus, in complaining of Roman degeneracy, says: "Formerly grave matrons attended to their own children as their first family concern, but now they entrust them to some Grecian girl or other inferior domestic." At a later period the value of infant life began to be appreciated. In the time of Trajan some organized assistance was given to infants. Marcus Aurelius also showed an interest in the foundling. Cicero states that Camillus, when Consul, proposed a tax upon bachelors for the support of infants. In India and China infanticide was extensively practiced from the earliest time; indeed, with the exception of the Hebrews and Assyrians, it was general among all the ancient races. Though sometimes confined to girls, it usually was extended to include also all delicate, feeble and deformed male children. The motives everywhere were much the same -- famine, poverty, or the promotion of national efficiency by eliminating the weakling. The attitude of society toward infant life was determined largely by the relation of the child to the State. Its life was considered of value if it was healthy, vigorous, and especially if it was a boy; but if feeble or deformed and, under certain circumstances and in some countries, if a girl, it was exposed to death without hesitation or regret. That mistakes in deciding who were unfit were sometimes made is shown by the fact that Cyrus, the son of Cambyses, was exposed in a forest, but secretly saved by the woman who was sent to make way with him. The right of infants to life and the value of infant life as such was not recognized until very modern times. The early idea of infanticide was bound up with the authority of the father or the State over the life of the child. In India and China, although infanticide is practiced today, it has very greatly diminished, and it does not meet with public approval. After the first few centuries of our era a different and more humane attitude toward infant life is discernible. The first evidence of legislation having for its object "abandoned infants" came with the establishment of Christianity in Rome. Before that the authority of the parent was absolute. In the beginning of the fourth century we find Constantine endeavoring to prevent parents from abandoning their children and giving aid to the needy from public funds; because, as he said, "The wants of the newborn child must be filled without delay." In the latter part of the fourth century the Emperors Valens and Gratian ordered that every parent should bring up his own infants; they pronounced penalty against exposing them and made infanticide punishable by death. In 530 Justinian gave liberty to foundlings and proposed that they be educated at public expense, but long wars prevented the carrying out of his plans. There gradually grew up in the middle ages all over Europe a general sentiment of pity for the foundling or the abandoned infant and this apparently was the chief motive which led to their reception in churches and hospitals, and later to the establishment of special institutions for the protection and care of these waifs of society. This was almost invariably done by the religious orders, seldom by municipal or State authorities. All that was thought of in the beginning was simply shelter for these unfortunates during their usually brief existence. In the sixth century at Treves a marble cradle was first placed outside the door of the church to receive any infant who might be placed there. Later this example was followed by many churches and afterward by some public hospitals. It is recorded that at the end of the twelfth century fishermen in the Tiber caught in their nets so many bodies of newborn infants who had been drowned, that Pope Innocent III. immediately arranged to have infants received in the Hôpital du Saint-Esprit; this part of the hospital was named "Conservatoire de la Ruota." [See Note 2] In 1316 the Hôpital des Innocens was founded in Florence. In the reign of Francis I., toward the end of the fifteenth century, we find a brotherhood formed to care for young infants; and fifty years later the Hôtel Dieu opened its wards to receive any infants left at its door. These were placed in wards with sick adults and, it is said, usually died in a few days. Several private homes or shelters for their reception were opened during that century, but until the end of the seventeenth century no public foundling asylum existed in France. Not long after this, special institutions for foundlings came into existence over the continent of Europe. Practically all these were under the aegis of the Church; shelter and care for these children were furnished as a religious duty. The Society of St. Vincent de Paul in 1638 seems to have been the first to influence public authorities to acknowledge the civil existence of foundlings. A little later Louis XIV. recognized the value to the State of these infants and gradually the idea grew that the foundling not only had a right to life, protection and care, but might be of value to the State. The provisions for their needs were, however, very meagre and wholly inadequate. What the infant mortality was in the period of which we have been speaking must be left to conjecture. No statistics which are at all reliable are at hand. Both in public institutions and out of them the death rate must have been something appalling under conditions then existing. A beginning of vital statistics in England was made in 1538  by Henry VIII., who ordered that the incumbent of every parish keep a true and exact register of all christenings, weddings and deaths. Although a similar order was issued by Elizabeth in the next reign it was not until long after that anything like complete records were kept. In the city of Geneva, however, fairly full and complete vital statistics are available since the year 1549. But even in the most enlightened countries as a whole little that is reliable can be obtained in vital statistics until about a century ago, and in the majority of States for hardly half that time. In 1812 a law was passed in England prescribing the form of registration for all deaths and making one liable to a fine who did not comply. However, "bills of mortality," as they were called, were kept in many towns before that time, which enable us to form some idea of infant mortality for an earlier period. Our own country has been disgracefully behind most of the civilized nations, and even now in only a few of our states are proper records kept. Vital statistics are a form of national bookkeeping which is most essential if we would know what actual conditions are. We in the United States have been most remiss in the matter of marriage and birth records. One of the first tasks to which this Association has addressed itself is to secure throughout the country complete figures of birth registration. The importance of such records for a study of the problem cannot be overestimated. While we cannot know the infant death rate in percentages in Europe in the seventeenth and eighteenth centuries, we get some hints of what it was from certain facts in history. Justin McCarthy, in his "History of the Four Georges," speaking of Queen Anne, says that Anne had no children living at the time of her death, 17I4: she had borne her husband a great many children, eighteen or nineteen, it is said, but most of them died in infancy, and only one, the Duke of Gloucester, reached his eleventh year. Granting that many of them were probably delicate children, what a revelation this is of the ignorance of the care and nutrition of infants. If such a thing was possible in the royal family, what must have been the conditions throughout the kingdom generally. Gibbon, the historian, born a generation later, in 1737, in his "Memoirs" says: "I was succeeded by five brothers and one sister, all of whom were snatched away in their infancy.'' He continues, "The death of a newborn child before that of its parents may seem an unnatural, but it is strictly a probable, event, since of any given number born the greater number are extinguished before their ninth year. Without accusing the profuse waste or imperfect workmanship of Nature I shall only observe that this chance was multiplied against my infant existence." He goes on to state that so feeble was his constitution that in the baptism of each of his five brothers his father's prudence successively repeated his Christian name of Edward, that, in case of the death of the eldest son, this name might still be perpetuated in the family. Yet Edward Gibbon lived to the age of fifty-seven years, and became one of the great men of his day. In his time that a large proportion of infants born should die was an accepted fact. It need not surprise us when we consider the condition of medical science at the time, the dense ignorance regarding private and public hygiene and sanitation, and the consequent ravages of infectious diseases. The infant mortality in institutions was much greater than elsewhere. In the Lying-In Hospital in Dublin from 1781 to 1785 it is said that 16.5 per cent. of infants born died before they were two weeks old. By opening the windows and attending to ventilation and cleanliness this was reduced to 4 per cent. within a few years mainly by the elimination of tetanus of the newborn, to which previously more than nine-tenths of the deaths were due. In the British Lying-In Hospital from 1750 to 1759 the mortality was 6.5 per cent. of the infants. Percival,[l3] writing in 1789, states that in Manchester half the children born die before reaching the fifth year. A writer in a French medical journal, in l780, makes the statement that in that country half the children born died before the end of the second year. At this time, the latter half of the eighteenth century, we are warranted in stating that the infant mortality generally was over one-fourth of the total mortality, and the mortality under five years over half the total mortality. That the infant death rate was excessively high excited no comment or surprise. This had always been the case; and it was considered unfortunate but inevitable. Human life was cheap, and infant life cheapest of all. Gradually the opinion grew that this was not so inevitable and necessary as it seemed. There appeared now and then in different parts of the world men who were impressed with the idea that much of this sacrifice of infant life was unnecessary and might be prevented. Some of these persons were philanthropists, but most of them were physicians who foresaw the dawn of a better day for the infant in the not distant future and recognized some of the means through which this might be hastened. The value of human life. and especially the intrinsic right of the infant to a chance for life, gradually came to be recognized during the nineteenth century. It seems to have been one of the results of the growth of democracy, which spread so rapidly after the French Revolution. Although the economic value of infant life and the importance of saving the children were not yet appreciated, there were even in this period voices of warning and protest raised against the conditions then prevailing with reference to infants. Black, writing in 1782 an historical sketch of medicine, states that in Great Britain during the latter half of the seventeenth century there were only three men, one of whom was the renowned Sydenham, who gave any special attention to the diseases incident to young infants. He says "Up to this century the management of these tender creatures in sickness was left to ignorant old nurses and rude quackery. Even at present the bills of mortality, in cities especially, are a melancholy proof that the carnage made among the young part of the human species has not yet attracted the attention of medical writers." In 1749 William Cadogan, of the London Foundling Hospital, talks more hopefully. He says, "It is with great pleasure I see at last the preservation of children become the care of men of sense; the publick will soon find the good and great effects of it. Children have been left too long to the superstitious care of old women. What is needed is a philosophic knowledge of nature, to be acquired only by learned observation and experience." These and other contemporary writings in the same strain give us glimpses of conditions which may be regarded as fairly typical of the times. The early part of the nineteenth century witnessed a considerable fall in infant mortality due to the introduction of the practice of vaccination. To us at the present day that smallpox was ever a large factor in infant mortality seems surprising. Yet writers of that day tell us that smallpox committed its chief ravages upon children under, or about, the age of two years; also, that one-fifth of all the children born died of smallpox before reaching the tenth year, and that one-third of all the deaths of children were due to this cause. An interesting picture of conditions existing in England in the beginning of the nineteenth century is given by John Bunnell Davis in a small book published in 1817, with the following title: "A Cursory Inquiry into some of the Principal Causes of Mortality among Children, with a View to Assist in Ameliorating the State of the Rising Generation in Health, Morals and Happiness. "[l7] Davis is to be regarded as a pioneer in this field. His work shows not only evidence of careful study of the problem of infant mortality as presented by the conditions existing at his day, but also a grasp of principles to be applied in remedying the evils of the time. We find him quite modern in his ideas, and many of the things advocated by him are those upon which we of the present day place the greatest emphasis. He strongly urges the importance of maternal nursing and the moral obligation of it. He says, "A practice more fatal in its effects than the combined operation of all other causes is that of wet nursing and the high mortality among wet nurses' infants." Again, "One way for men to become good husbands and fathers is for women to become real mothers." He saw that maternal nursing not only saved life, but was an important factor in the future health of the child. "This practice [maternal nursing] so loudly called for by nature renders children more robust, and they are better able to resist a thousand causes of death which threaten them in the arms of a stranger." "Is it," he says, "too much to hope, to expect, indeed, that mothers will see the necessity of this and will practice a virtue so noble, so precious, and so natural." The economic importance of preventing infant mortality did not escape him. "To promote the health and vigor of its subjects is the primary object of a nation's strength." 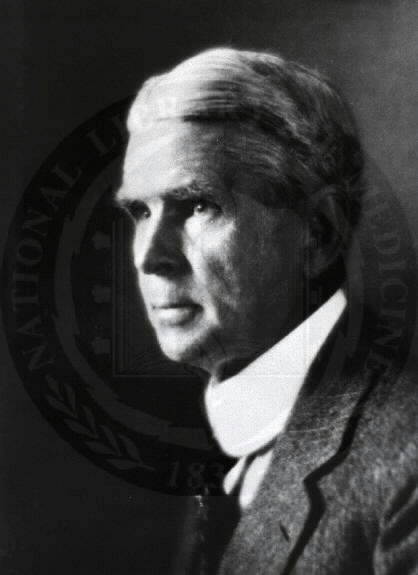 Davis laments the fact, which was very patent in his day, "that from causes inexplicable the disorders of children do not appear to have met with that exclusive and peculiar attention which their obscure and fatal nature requires." Though he met with much opposition and many discouragements, his efforts resulted in what seems to have been the only public dispensary for children in London in 1816. Davis perceived the educational value and practical importance of combining with the special work of his dispensary for children social service by a voluntary corps of house visitors. He says: "If benevolent ladies could be prevailed upon to form district committees to visit and inspect the health of sick indigent children, much practical good would result from a medical and moral point of view. By such visitations as these it may be predicted that the . instances of mortality among children will be quickly diminished; at the same time that such benevolent females corrected the absurd notions and errors of the poor as to the domestic management of their children." He also printed and circulated leaflets giving rules for the care of children at home and directions for the management of common ailments. Three methods of feeding were in vogue in Davis's day -- maternal nursing, which was of course the rule, though it appears not infrequently given up voluntarily; wet nursing, the infant being usually taken to board in the home of the wet nurse; and artificial feeding, or "bringing the child up by hand." The last-mentioned method was almost invariably unsuccessful. The mortality was appalling, comparatively few survived when so fed. The reduction of infant mortality following the introduction of vaccination was only temporary, for two great influences dependent upon the industrial development of the time came into existence, both of which were most prejudicial to infant life. These were the rapid growth of cities at the expense of the country and the extensive employment of women in factories. The urbanization of the population of most European countries has gone steadily forward with increasing rapidity since the beginning of the nineteenth century. In America it has been marked only since the Civil War. City life a hundred or a hundred and fifty years ago, though cities were small as compared with those of today, was not safeguarded as it now is by modern sanitation, with its laws of hygiene. The older cities were compactly built, with narrow streets, very inadequate provision for light and air, and very few parks or breathing places. Plumbing was unknown, sewerage very rare, the water supply scanty and easily contaminated, and such preventive measures of disease as food inspection, quarantine and disinfection in contagious diseases, and proper street cleaning were still undreamed of. The average city, with a population of 20,000 or 30,000 at the beginning of the nineteenth century, exhibited unsanitary conditions and often an overcrowding which can be compared only to the very worst districts in New York or London today. When, in such surroundings, a mother relinquished the personal care of her infant to become a factory employee, and when maternal nursing was replaced by substitute feeding carried out by one densely ignorant of the first principles of the subject, the results can well be imagined. The relation to infant mortality of the employment of women in industries away from their homes is a question of real and fundamental importance. No single factor is so prejudicial to infant life as taking the mother away from her infant after the first month, often sooner than this, and keeping her away at work for six days in the week, thus depriving the child of the advantage of maternal nursing and substituting for the mother's care usually that of a young, ignorant, inexperienced person, frequently only a child, often an invalid. Factory work told even more upon the health of women then than it does today. Work was harder, hours longer, wages smaller and the factories frequently most unsanitary. The conditions prevailing in Europe in the middle of the nineteenth century are pretty fully set forth in the Journal of the Statistical Society of London, in l866. At this time, about 1860-61, the infant mortality per l,000 of registered births was as follows. Sweden, 141; Scotland, 149; England, 170; France, 223. In all of these countries the birth records are fairly complete and the figures may be taken as indicating comparative conditions in the different countries. The lower mortality of Sweden and Scotland was attributed partly to the cooler climate and partly to the more general practice of maternal nursing and its continuance for a longer period. Wide differences were seen in different towns and districts of the same country, this varying very constantly with the extent to which women were employed away from their homes, whether in factories, in agriculture or other industries. In one province in Finland, where the mortality was excessive, investigation showed a great lack of maternal nursing. While the mothers were away at work in the fields the infants were fed, according to an ancient custom, upon sour milk from a horn suspended over the cradle. This contrivance was evidently the prototype of the nursing bottles with long glass and rubber tubes that were very generally employed with us until twenty-five years ago. The state of the milk and the results seem to have been much the same in both instances. In France, the treatment of infants, especially in the country districts, is described as deplorable. A contemporary writer says: "The women work in the fields nearly as much as the men, which affects feeding and all domestic arrangements." The bad results and high infant mortality were attributed largely to artificial feeding or bad wet nursing. There was exceptionally little breast feeding and even when ill infants were still fed on insufficient cow's milk and pap, or bad soup and black bread. "The mothers cannot, or will not, nurse their infants because they are obliged to go out to work." The same writer concludes that it was common experience for three-fourths of the infants fed in this manner to succumb in a very short time. In Norway, notwithstanding the poverty of the peasants, the infant mortality was low. Because of their poverty, breast feeding was almost universally practiced and frequently continued until children were two or three years old. That breast feeding was found to be the cheapest by these people at this time is a suggestion which may well be pondered by those seeking a solution of the problem of infant mortality at the present time. In England the infant mortality bore a very close relation to the extent to which women were employed in factories. An interesting demonstration of this is seen in the cotton mill district of Lancashire during our Civil War. During the first year of the war the imports of cotton decreased 40 per cent., with the result that when the conditions at the mills were at their worst there were in Lancashire alone 247,000 operatives idle and l65,000 others working on part time. Of the entire population of the district, 24 per cent. were receiving charitable relief. The effect of this was a marked increase in the general mortality as a result of privation and poverty, but a surprising reduction in the infant mortality. In the year before the war it had been I84 per 1,000 births; at the height of the depression of the cotton industry it fell to 168, but rose again after the close of the war, when work in the mills was fully resumed, to 200 per 1,000. A somewhat similar thing was seen during the Siege of Paris; while the general mortality doubled, the infant mortality fell 40 per cent. Opportunities for outside work being shut off, women could not go out to work and were compelled to stay at home and so nursed their children. An investigation was made between 1859 and 1861 into the sanitary condition of England by Sir John Simon and others, as a result of which the conclusion was reached that just in proportion to the number of adult women employed in factories or agriculture the mortality of their infants increased; that in districts where the proportion of women so employed was large the infant mortality was from two to three times as great as in the standard districts. The care, or, rather, the neglect, of infants under such circumstances is described as "almost murderous." Homes were ill kept, infants badly fed or starved and the cries of hunger or distress quieted by opiates, which were in great demand in centers of manufacturing industry. An operative of the better class in Birmingham, England, who collected money for expenses attendant upon the death of children in a factory employing 150 women gives it as his opinion that at this time 10 out of every I2 children born to the married women in this factory died within a few months after birth. The situation in the cities of our own country in the middle of the last century was little better than in those of Europe. A graphic picture of the conditions prevailing at the time in New York is given in "An Essay on Milk" by Robert Hartley, which was published in 1842. At that date he states that fully five-sixths of the milk consumed in New York was from cows housed in the city and fed upon distillery waste. Adjoining a distillery at Eighteenth Street and Ninth Avenue were cattle sheds containing as many as 2,000 cows at one time. The animals were kept under conditions which were foul almost beyond description; they had no exercise, no fresh air, no fresh food and no hay. Their sole food was the so-called "distillery slop," of which they consumed barrels a day. The stalls were rented to the owners of cows for five dollars a year and the food was supplied at nine cents a barrel. The milking was often done by city tramps, who performed this labor for the privilege of sleeping in the cow sheds. Compare for a moment these conditions with those existing in an up-to-date dairy of the present, with its cement floors, whitewashed walls, sterile utensils and sterilized milking suits of the trained men. It should be remembered that the conditions alluded to were the rule, not the exception, and that for the great majority of infants deprived of maternal nursing this milk was their food; it was, in fact, the only milk obtainable. Those who have read Paul Leicester Ford's book, "The Honorable Peter Stirling," will recall that this ambitious young attorney first came into notice as the prosecutor of the milk dealers at the time of which we are speaking. The mortality records of the time, imperfect though they are, reflect the unwholesome conditions which we have described. With a population of a little more than 300,000 in l840 New York had a death rate of 25 per l,000, and one-fourth of the deaths were in infants and over half were in children under five years. The records of the time in Boston and Philadelphia show about the same conditions prevailing there. Throughout the nineteenth century, especially the latter half, to its very close, we note a constantly high infant mortality. Although owing to advances in medicine, hygiene and modern sanitation, general mortality records show a fairly uniform decline after about 1870, there was no general fall in infant mortality till 1900. [See Note 3] In many places there were seen side by side a falling general mortality and a rising infant mortality. It is barely forty years, or only since 1870, that the new interest in the lives of infants has been manifest. This has come about partly through a growth in humanitarian ideas regarding the value of infant life, which has been accompanied by a desire to ameliorate social conditions upon which a high infant mortality depends. This was first felt by individuals, but soon came to be appreciated by municipalities and finally by states and nations. Together with the growth of the humanitarian idea has been the development of sanitary science and preventive medicine and the great advances in our knowledge of the diseases of children which have made it possible to check, to some degree at least, the enormous infant death rate, which had continued almost the same since vital statistics were first kept. Some important organizations affecting child life, most of them originating in France, had been in existence before 1870. Perhaps the most valuable was the créche, or day-nursery. The first one was founded in 1844 by Marbeau, mayor of the first arrondissement of Paris, who, observing the neglect of infants whose mothers were at work, and, finding that no provision for their care existed, conceived the idea of a place where such a thing could be properly done. By the aid of private subscriptions a room was secured in a poor street, twelve willow cradles were installed and the whole placed in charge of a nun, while a doctor visited the place daily. It is an interesting sidelight upon the care of infants of the time to note that a part of the organization consisted of two persons who were engaged as "rockers." From this humble beginning the idea rapidly spread and many more créches were soon opened. Three years later the Société des Créches was formed to standardize methods of work and facilitate cooperation. From France the créche rapidly spread to Austria, Italy and Germany, and soon they were opened all over Europe. Most of them received some public support, but they depended largely also upon private contributions. They were usually in charge of nuns. While the créche has, perhaps, not been a large factor in reducing infant mortality, it has done much in calling attention to the neglect of infants of working women in cities and arousing public interest in the welfare of infants generally. In 1865 a society was organized in France known as the Société Protectrice de l'Enfance. Its chief objects were to encourage maternal nursing, watch over infants sent out to be wet-nursed, and instruct mothers in all classes of society in the care of their children. As a result of ten years' work this society made a great impression on the infant mortality in the district in which it operated. France again led the way in 1876 in the organization of a Society for Nursing Mothers (Société d'Allaitement Maternelle). This was destined to have a wide influence in the reduction of infant mortality, for its example has been followed and its methods imitated in many cities and countries down to our own day. It approached the infant problem from a different standpoint and sought to save the child by caring for the mother. Before confinement, homes or refuges were opened where poor and destitute women could be sheltered for a few weeks until they were sent to maternity hospitals, and assistance or partial support was given to nursing mothers during the first year to make breast feeding possible. This aid was supplemented by regular monthly observations of these infants by physicians and visits by social workers. The beneficial effects of this work were at once evident. In sixteen years this society cared for 10,000 women in the pre-confinement homes, and Pinard says that no women received into maternity hospitals from these homes died in childbirth, and that a noteworthy improvement was seen in children born; they were above average weight and were much more vigorous than the children of women not receiving such care. During the first eighteen years of its existence the society aided nearly 40,000 mothers. In 1872 there was passed in England what was known as the Life Protection Act, which was directed against the crying evils resulting from the practice of farming-out infants. It provided for the registration and licensing of all places where infants apart from their parents were received for hire; to this a provision for inspection was subsequently added. Two years later, in 1874, France passed a somewhat similar law. It was known as the Roussel Law, or Loi Protectrice des Enfants. The custom prevailed extensively at that time of sending young infants from the cities into the provinces to be wet-nursed. Comby states that the infant mortality under these conditions was appalling. About 20,000 infants were sent from Paris in a single year, and the death rate among them was 75 per cent. In some places it was even higher than this. The death rate among the infants of wet nurses was also enormous. The Roussel law aimed at the correction of abuses which had grown up in connection with this wet-nursing industry and provided for government inspection of all places where infants under two years were cared for. The passage of these two statutes is noteworthy as being the first public recognition of the problem of infant mortality and the first legal efforts made to diminish it. The factory employment of mothers was early recognized, and, as has already been mentioned, was an important cause of a high infant mortality. The next legislation relating to this subject was the passage of laws which forbade the employment of women in factories for a certain number of weeks before and after confinement. [See Note 4] Such a law was first passed in Switzerland in 1877. This example was followed by Hungary in 1884, and shortly after this time in turn by Austria, Holland, Belgium, England and Germany. These laws varied somewhat in stringency, but all aimed to secure for the mother for a certain number of weeks, usually for six after her confinement, and in some cases for two weeks before, a certain immunity from labor of this kind. It has rarely happened that much has been accomplished by legislation in reforming social evils and this has been no exception. But it was another step forward. Where employers voluntarily continued wages during this period of enforced cessation from work, as a certain number did, its beneficial results were very striking. In other cases the operation of the law often was only to substitute for the previous work in the factory harder work at the home. The main benefit of these statutes was perhaps to arouse public opinion by calling attention to the disastrous effects of hard work under such circumstances both upon the health of mothers and their infants, and to lead to efforts to ameliorate these conditions by assistance in other ways. The enlightened employer of today recognizes the fact that efficiency of labor is promoted by securing to employees good sanitary conditions for work; but a generation ago this was hardly thought of, much less practiced. Interest in infant mortality as a social problem was, I think, first shown at the Dublin meeting of the National Society for the Promotion of Social Science in 186I. At this session William Moore made an address upon the causes of excessive infant mortality in which he forcibly set forth the conditions then prevailing in Great Britain and emphasized the vital importance of this subject in its social and economic aspects. Ten years later, in I871, at a meeting of the Social Science Association in Philadelphia, the subject of infant mortality was a topic of discussion. Attention here also was called to the national importance of the welfare of the infants who are, or should be made, a source of wealth to the state. At the first meeting of the International Congress of Hygiene, held in Brussels in l876, the subject of infant mortality was considered. One of the great causes there assigned for a high infant death rate was popular ignorance of the laws of hygiene, and a strong plea was made for the more thorough instruction not only of parents, but of young doctors and mid-wives in this subject. At the second meeting of this Congress, held in Paris in 1878, the hygiene of infancy was the first topic for discussion. At this session a committee (consisting of Bertillon, Marjolin and Bergeron) appointed to make an investigation made a strong presentation of the subject of infant mortality, its causes, extent and remedies. This drew forth a full discussion and excited great public interest. Since that time, but especially since l890, nearly every congress of hygiene or social science has discussed the problem of infant mortality. I will mention only a few of the more important organizations and meetings for considering this question: The National Congress for Infancy at Florence in 1896; the League against Infant Mortality, Paris, in 1902; the International Congress of Milk Depots, in Paris, in 1905; an International Conference on Infant Mortality, in London, in l906; the International Union for the Protection of Child Life, in Brussels, in 1907; a large exhibit in Berlin in 1908, portraying the problem of infant mortality in all its phases; a Second International Conference on Infant Mortality, in Westminster, in l908; the German Society for the Protection of Infants, in Munich, in l909; the American Association for the Study and Prevention of Infant Mortality organized at New Haven in l909; the English-speaking Conference on Infant Mortality, in London, in 1913. These organizations and meetings are evidence of the worldwide interest in the problem of infant mortality, and also give an idea of how very recent all this interest is. Public concern regarding this question is only about thirty years old and the real awakening has come since the beginning of this century. In seeking for the causes of this awakening many factors must be considered. It has not come about from any one influence, but is a result of many; the motives which have aided in bringing this about have been varied. Some have been stronger in certain countries, while in other lands different influences have been at work. Speaking generally for the world at large, the humanitarian motive has probably been the strongest one. It is the general desire for a betterment of social conditions which has been most widely influential. This, I think, has been the chief motive in America. Among the European nations, especially France, it is the economic aspect of infant mortality which has been uppermost. It is surely not an accident that the French have been foremost in their interest in this question and that so many of the organizations or agencies for the reduction of infant mortality have originated with them. For more than two generations they have viewed with apprehension the fact that with a high infant death rate their birth rate was the lowest in Europe and steadily falling. (It has been from 20 to 22 per l,000 of population for the past ten or fifteen years; it was 19.7, the lowest then recorded, in 1910.) How to save their infants has become a public question of the first importance. With a smaller loss by emigration than either Germany or England, the population of France in the twenty years from 189I to I910 has increased less than a million, while during the same period Germany has increased over fourteen millions and England over seven millions. At the present time the figures giving the birth rate are published quarterly in the general press and the returns are scanned with as much interest by publicists as the yield of wheat or the factory output. It is not then surprising that a government decree was issued only last year by the Minister of Finance for the formation of a large and influential Commission to study this question. Germany also has been greatly stirred by the economic aspect of infant mortality. While her birth rate has been and still is considerably higher than that of France, its fall, especially in the past ten years, has been more rapid. From I890 to 1892 the average birth rate was about 35.5 per l,000, but it declined steadily, especially since 1902, to 31.l per l,000 in 1909. In five of the largest German cities the decline in the birth rate from 1901 to l910 has been from 33.5 to 24.1 per l,000. A third influence has been the progress made in medicine and sanitary science and especially the enormous advances in preventive medicine in the last thirty years, by which it has been shown what was possible in hygiene and public health. Better sewerage, pure water, clean milk, cleaner streets, food inspection, attention to ventilation and to all matters of general hygiene, have done much to overcome the unfavorable effects of city life upon the very young. There has grown up a certain noble rivalry among the health departments of our greater municipalities in lowering the general mortality rate, and especially the infant mortality, as being one of the largest factors. This ambition to lower all previous records is characteristically American, but it has brought about results which are truly remarkable and which make all previous accomplishments in this direction seem like the work of amateurs. Let us now pass to a consideration of some of the means employed to bring about results of such magnitude. I have already mentioned the French Society for Maternal Nursing, which since 1876 emphasized what is now known as prenatal care of the infant, and also the continuous observation of young infants by trained visitors. Two other important organizations, both French, came into existence in 1892 and 1894 respectively. These were the Consultations for Nurslings (Consultations de Nourissons) and the Milk Depot, or Goutte de Lait. The first Consultation was organized by Budin in Paris in connection with a maternity hospital. After discharge, the infants were brought back for regular weighings and observation and examination for a period of two years; the mothers instructed in infant hygiene and feeding and advised in minor ailments. Breast feeding was encouraged and assisted; when it was not possible, sterilized milk in separate feeding bottles was supplied. The great advantage secured by this plan was continuous, intelligent supervision of the mother and, through the mother, of the infant from its birth. Two years later, in 1894, the first milk depot was established by Dufour. Its purpose was proper artificial feeding under medical supervision. These two organizations, the Consultation and the Milk Depot, have since in many places been merged into one. They may be considered as really marking the beginning of the modern movement for the reduction of infant mortality. They have spread all over the civilized world and have proved to be, when properly conducted, one of the most effective agencies, if not the most effective agency, known for the reduction of infant mortality. Several things are essential to the successful operation of a milk depot. Budin has well said that the Consultation is worth just as much as the physician who conducts it, but no more. This work must be done by physicians, not trained nurses nor social workers. The physicians must themselves be properly trained for their task, and, finally, they must be paid for it. The best results cannot be obtained by placing this responsibility upon voluntary workers. The milk depot, unless properly conducted, may, by increasing the facilities for artificial feeding, tend to discourage maternal nursing, with a final result, possibly, of increasing infant mortality. While the distribution of clean, pure milk is important, it should be realized that the instruction of the mother and continuous observation of the child play a vastly larger part. Everything possible should be done to encourage breast feeding and to aid it. The inexperienced mother is thus guided not by the advice of ignorant and superstitious relatives or friends, but by an intelligent and experienced person, who not only tells her what to do, but shows her how to do it. The expense of conducting milk depots and consultations upon a large scale is so great that private philanthropy cannot be expected to bear it. They should be supported by the municipality. In this way standardization of methods, proper supervision and cooperation may all be secured. The milk stations and infant consultations are operated somewhat differently in different places. In New York the station is in charge of a paid physician and has in summer two nurses and in winter one in attendance. Milk is distributed practically at cost and if the mother is too poor to pay, it is supplied by one of the relief agencies. The nurse visits the mother in the home and teaches her the method of milk modification. Consultations are held in most stations twice a week. One of the chief difficulties is to secure attendance of nursing mothers. Attendance of others is secured by the distribution of milk. During the past three years the needs of New York have been pretty well covered by milk stations. There were 79 in operation during 1911, and 77 since that time. These are open winter and summer. For the past two years about two-thirds of these have been operated by the Department of Health of the city, the remainder by private agencies. In Paris, also, the city is districted and the attendance is general. The infant consultations are often operated in conjunction with, or located in, the maternity hospitals, so that the work of the two is kept closely associated. A weekly stipend of a few francs is given to mothers to enable them to nurse their infants. This aids much in securing regular attendance. In addition to the milk depot and the consultation there exists in Paris what is known as "the canteen," which is a restaurant where any nursing mother can obtain a good meal for a nominal sum, or gratis if too poor to pay. The milk depot and consultation are widely found throughout the cities and smaller towns in France and about them center the activities for the reduction of infant mortality. Wherever they exist a marked reduction in the infant death rate has occurred. In some cities in France pensions are given by the municipalities to widows or other mothers with nursing infants where the family is dependent upon the mother's wages to enable them to remain at home and continue nursing. Germany has taken its ideas of methods for reducing infant mortality and the care of infants and mothers largely from France, and with the German genius for administration they appear to obtain better results, because the municipal authorities seem to have a stronger hold upon the public. The German campaign has been especially effective in dealing with the problem of illegitimate infants. The size of this class is so large and the death rate among them has been in the past so high, that in attacking the problem of infant mortality this has been a subject of primary consideration. In Berlin today the work for the reduction of infant mortality is managed partly by the municipality and partly by private beneficence, the two working in close cooperation. The channel of influence is chiefly the infant consultation, which is in charge of physicians and nurses. They are less numerous than in New York, there being last summer only seven of these in Berlin, distributed through the poorer districts of the city. Attendance is secured primarily from the birth registration: nurses visit the homes of the poor and invite married women to come to the consultations and bring their infants. In the case of illegitimate children attendance is made compulsory by the city authorities, just as in New York is attendance upon the public school, and a truant officer is sent after the mother if she does not report regularly. A small weekly stipend is given which is deemed sufficient to supplement the family income to enable the mother to nurse her baby; the usual allowance is from one to four marks a week. This payment is in itself a very strong motive for regular attendance. When the baby is no longer nursed the stipend is reduced or withheld. Milk for artificial feeding is furnished at cost to those who are unable to pay for the same. Mothers with illegitimate children have different colored tickets from others who attend the consultation, so that they are readily distinguished by the physicians and attendants. And all the rules are much more stringently enforced in their case than with the other group of patients. In Leipsic the illegitimate child becomes at birth a ward of the municipality. From time to time its condition is inspected by public officers. It can be put out to nurse only with persons publicly authorized. It must be produced monthly at the municipal offices and examined. The result is that the death rate of illegitimate infants in Leipsic is just half that of other infants. In England the milk depot has not been very popular or successful. The expense attending the distribution of good milk has stood in the way of its extensive use, and dried milk or infant foods have in many places been substituted. The consultations, however, have attained much influence. To secure attendance a cup of tea is sometimes provided for the mothers at the consultations. This is regarded by them as a sufficient inducement and takes the place of the pecuniary reward which appeals so strongly to the thrifty German and French matron. If in England the measures referred to have been much less successful than in other countries, we must remember that in that country the care and feeding of the infant is generally believed to be the special province of the nurse. The physician is frequently not consulted at all. The effect of this is seen in the undue prominence given to nurses and social visitors in the work of the milk stations and the consultations, something greatly deprecated by the English physician. As an instance of what can be done in a single community by stimulating public interest and a special incentive, the experience of Huddersfield, England, may be cited. In 1904 Mr. Broadbent, when elected Mayor, announced he would give a prize of one pound to the mother of every child born during his term of office who presented it living and well at the end of a year. A committee of ladies was formed to advise and visit the mothers. The death rate of infants in that district fell from 134 to 54 per 1,000. Another important means for the reduction of infant mortality is by visits by trained nurses to the home of every poor mother of a newborn babe. This was first done extensively by England. A statute known as "The Notification of Births Act" was passed in 1907, making the registration of births within thirty-six hours compulsory. The old law allowed six weeks in which to make such returns. As soon as a birth was reported a visitor was sent to the home of every poor mother. If proper advice and assistance were needed visits were repeated. The infants were by these means brought to the consultations; when sick, they were visited by physicians. This plan has been extensively followed in London and many other large English cities, everywhere with striking results. In New York the Health Department has a special corps of 191  nurses detailed for this work during the summer months. Immediately upon receipt of a birth notice, which must be filed within ten days, one of the nurses is sent to every tenement house home. Subsequent visits are made at the request of the mother, the midwife or the physician, if one is in attendance. These visits are usually welcomed and the early advice much appreciated, especially by young mothers. Each nurse has about 150 infants under her care and visits are made every ten days; oftener, if they are ill. Breast feeding is encouraged and assisted. It is estimated that the city has not less than 50,000 ignorant mothers. This use of the birth records is to be contrasted with a use formerly made of them, where they could be obtained, by the manufacturers of proprietary infant foods who used the information as a guide in distributing their circulars and samples. While mothers are away at work the care of the baby so often devolves upon the older children of the family that Dr. Josephine Baker, Director of the Division of Child Hygiene of the New York Health Department, has organized among girls from twelve to fourteen years in the public schools a "League of Little Mothers." Its object is the teaching, during the summer months, of the principles of infant feeding and hygiene. This was founded in 1911. In different seasons it has had from 171 to 239 centers and an enrolled membership which has varied between l5,000 and 20,000. They have weekly meetings, talks are given by physicians and nurses, and examinations are held and medals awarded at the end of the season to the members of each league who have been most successful in applying their knowledge. The amount of interest awakened by this organization in the care of infants has been remarkable. The girls learn easily and are most eager to put their ideas in practice. What this will mean when a dozen years hence these girls become mothers, who dare prophesy! This movement has in it possibilities for betterment in the future which are almost without limit. Nowhere in the world does the problem of infant mortality present greater inherent difficulties than in New York, from the heterogeneous character of the population and an overcrowding which in certain districts is not equaled in any city in the world. European capitals -- London, Paris and Berlin -- really know very little about the severe intestinal diseases which carry off infants in such numbers in New York, Philadelphia and our other large cities. What has been accomplished in New York is so conspicuous that the methods followed may well be taken as a guide to other cities and may be described in some detail. Up to the year l902 the work was somewhat desultory; the Department of Health had confined its efforts to the three summer months, the chief thing done being the employment of a special corps of physicians to visit sick infants in the tenements. That year the work was greatly enlarged and visiting nurses were employed to follow up cases. Inspection of milk on a considerable scale was begun. During the next six years more and more private organizations came into the field aiming to better child conditions in the city, and together a good deal was accomplished. The real campaign against infant mortality, however, may be said to have begun in l908, when the Division of Child Hygiene of the Health Department was organized, to which all the work done by the Department for infants was entrusted. An attempt was made for the first time to coordinate the different agencies working in the city for the same end, by a series of conferences on the Summer Care of Babies, which were largely attended. The summer corps was increased to a force of 28 paid medical inspectors and 111 nurses. The city was divided into 89 districts and an effort was made to reach all sick infants in the poor districts. For the first time visits were made by nurses to tenement homes in which births were reported, and instruction and advice given. Talks to mothers were given in many centers on the hygiene and feeding of their infants and much literature distributed. The campaign was continued for four and one-half months in the place of three months as formerly. Seven milk depots were opened by the New York Milk Committee, and others by private agencies. Work along much the same lines was continued during l909 and 1910, each year witnessing better organization and more effective service. By 1911, most workers in this field having become convinced by the experience of the last three or four years of the value of the milk depot as an agency for saving babies in summer, an increased number of such stations were opened. In all, 79 were operated throughout the season -- 15 by the Health Department, 31 by the New York Milk Committee and 33 by various other organizations or by individuals. Some 150 different bodies working for child welfare or public health were federated in an Infant Welfare Association thus securing harmony, cooperation, preventing duplication of effort and fixing standard methods of working and of recording results. This organization, afterward known as "The Babies' Welfare Association," has been, and still is, a powerful factor in the results obtained in New York. It has unified effort, and, through its efficient secretary, it has enlisted the cooperation of the press and done much to arouse public interest and shape public policy. The results shown at the end of the year were a surprise to even the most sanguine. For the preceding seven years the average infant mortality had been 16,527; only once was it below 16,000, and it had been as high as 24,000. In 1911 it fell to 15,030, a reduction of 1,184, or nearly 8 per cent. from the previous year. During 1912 essentially the same campaign was waged not only during the summer months, but throughout the year. This season the majority of the milk stations (55 out of 77 operated) were taken over by the Health Department. The remarkable record of the previous year was again lowered. The total infant deaths for the year were but 14,289, a reduction of 741, or nearly 5 per cent. from the low figures of 1911. Could the results of 1911 and 1912 be repeated in 1913? Many were skeptical, not a few thought it impossible. The year has not yet closed, but for the first ten months, ending November 1st, and including the period of highest mortality, the records of the two previous years have been surpassed. For this period there have been 492 less deaths than in 1912 for the same months. These results have not been accidental. They have been brought about by hard work enthusiastically carried out, but most of all by a carefully planned campaign in which the resources of the city have been concentrated upon a definite object. Furthermore, it must be added, by liberal appropriation on the part of the city authorities; without this such results would, I believe, have been impossible. What has been accomplished in New York has been approached in other cities of the United States, and just in proportion to the extent of the operation of life-saving agencies similar to those used in New York. Thus, while New York has shown for the first ten months of this year a reduction of 4 per cent. from last year, Chicago for nine months shows an increase of 5 per cent. and Philadelphia an increase of over 1I per cent. from 1912. Visits by trained nurses to the homes of ignorant mothers of newborn babies. Extensive development of the milk depot and infant consultation. Federation in one organization of all the agencies engaged in infant welfare work. Efforts in other cities to be successful must be made along these or similar lines. The time when individual effort can cope with this problem has passed. The present conditions call for an organized campaign, planned on scientific lines and carried out with business-like efficiency. Only such effort can meet the complex situation as it exists in our large cities today. The general motto must be, as often said: concentrate effort on the mother; assist maternal nursing whenever possible by a stipend or by pensions when necessary. If artificial feeding becomes necessary the mother must be taught it with patience and intelligence. But whether nursed or fed, infants must be kept for the first year under close and continuous observation of trained workers. The time was in the not distant past when if parents did not choose to send their children to school they were allowed to keep them at home, and even put them to work. Modern public opinion, however, has decreed that in a sense the child is the ward of the State and ignorant parents are no longer to be allowed to exercise their parental rights in such matters. The State steps in and assumes to decide how much schooling a child shall have and to see that he gets it. Until recently also the authority of parents over the health of children and the control of conditions which affected it was considered to be unquestioned, and only in matters of contagious disease did authorities interfere. But we are now coming to see that the child belongs to the State in this respect also, and that the right of a mother to neglect or starve her infant or feed it bad milk may come to be regarded as an offence against society such as we now regard absence from school. What parents will not do voluntarily the State will either compel them to do or will step in and do for them. Infants will not be permitted to die from neglect and bad feeding, nor will conditions be tolerated which make it possible that a large percentage of infants who grow up in cities live in such surroundings that health and normal physical development is simply impossible. We have seen the early disregard of infant rights and the indifference with which society regarded infant life. We have traced the gradual growth of the idea that the child was valuable to society, to the State. We have seen how little was accomplished to save infant life through efforts which were guided by human sympathy and pity alone. What they have failed to do modern science and organization have accomplished. By them the seemingly impossible has been achieved. What of the next step? Our work is to be largely a campaign of education, which shall carry into every city and town of the land a knowledge of what can be done and how to do it. That is the chief function of this Association -- to create a public opinion which shall make such an infant death rate as has been seen during recent years in many of our manufacturing cities never again possible. Such conditions are not only a stigma upon that especial community, but a disgrace to the country at large. Looking at the magnitude of the problem presented by infant mortality in our large cities today, we, who are working for better conditions, stand aghast at the difficulties which confront us, but a review of the great advances which have been made in recent years gives us new courage and new hope for the future. We have seen in the last twenty-five years more accomplished in this direction than had been done in the previous two hundred and fifty years; I think one might truthfully say in the previous fifteen hundred years. Does God fix the death rate? This question has recently been raised in several journals. Once men were taught so, and death was regarded as an act of Divine Providence, often inscrutable. We are now coming to look upon a high infant death rate as evidence of human weakness, ignorance and cupidity. We believe that Providence works through human agencies and that in this field, as in others, we reap what we sow -- no more and no less. The motto of the New York Health Department should be the creed of all interested in this subject: "Public health is purchasable; and within certain natural limits each community may determine its own death rate." Note 3. Infant Mortality per 1000 Births for Different European Countries for Five-Year Periods. Note 4. European Laws Relating to the Employment of Women in Factories. 8 weeks, of which at least 6 after birth of child. Law amended requiring a longer rest before confinement and special regulations regarding certain occupations. 4 weeks after confinement; aided by insurance. 4 weeks after confinement; medical aid and a daily subsidy equivalent to 60% of the earnings of the working woman. 4 weeks after confinement if medical certificate is shown; otherwise, 6 weeks. Compulsory sickness insurance giving aid 4 weeks after confinement. 4 weeks after confinement if medical certificate is furnished, otherwise 6 weeks. Women must not engage in dangerous, unhealthful or exhausting trades during pregnancy. 3 weeks after confinement, employer to pay wages. 4 weeks after confinement; less if a medical certificate is produced. 1. 69th and 73d Annual Reports. Registrar-General, London, 1908 and 1912. 2. Position of Women In Ancient Greece and Rome, James Donaldson, New York, 1907. 3. La Protection de la Premiere Enfance, J. A. Duche, Paris These, 1909. 4. Essai sur L'Histoire des Enfants-Trouves, M. de Gouroff, Paris, 1829. 5. Diseases of Children, Underwood, London, 1806. 6. Sur la mortalitédes Enfants du Premier Age, J. Comby, Le Progres Medical, 1885. 7. La Mortalitédes Enfants Nouveau-Nés dans les Differents Pays, Congres International d'Hygiene, Vol I., Paris, 1878. 8. Considerations sur les Entants-Trouvés. Benoiston de Chateauneuf. Paris, 1824. !1. Observatlons on the Mortality and Physical Management of Children, John Roberton, London, 1827. 10. The Infant, the Parent and the State, H. Llewellyn Heath, London, 1907. 11. Infant Mortality, George Newman, London, 1906. 12. Some of the More Prominent Causes of Excessive Infant Mortality, William Moore, Dublin, 1861. 13. Medical Essays, Thomas Percival, Warrington, England, 1789. 14. Archives Générales de Medecine: 10, 1826, p. 461. 15. Historical Sketch of Medicine and Surgery, William Black, London, 1782. 16. Essay upon Nursing, William Cadogan, London, 1749. 17. A Cursory Inquiry Into Some of the Principal Causes of Mortality among Children, John Bunnell Davis, London, 1817. 18. Mortality of Children In the Principal States of Europe, William Farr, Journal Statistical Society, Vol. XXIX., London, 1866. 19. Essay on Milk, Robert Hartley, New York, 1842. 20. La Origine de la Créche, Revue Philanthropique, Vol. IV, 1898-99. 21. Mortalitédes Enfants Nouveau-Nés, Congres International d'Hygiene, Vol. I., Brussels, 1876. 22. Dangerous Trades, Thomas Oliver, London, 1902. 23. Infant Mortality and Necessity of a Foundling Hospital in Philadelphia, John S. Parry, Social Science Association, Philadelphia, 1871. 24. Infantile Mortality and Infants' Milk Depots, McCleary, London, 1905. 25. Dr. L. E. La Fetre, personal communication. 26. The Children of the Nation, John E. Gorst, New York, 1907. 27. Phases In Development of Infant Welfare Movement in England, Janet Lane-Claypon, Trans. 15th International Congress on Hygiene, Vol. III., Section III., Part 1, Washington, 1912, p. 388. 28. Reduction of Infant Mortality In N. Y. City, Josephine Baker (ibid. ), p. 139. 29. Infant Mortality and Milk Stations, Special Report of Committee for the Reduction of Infant Mortality of the N. Y. Milk Committee, 1912. Edited by Philip Van Ingen.